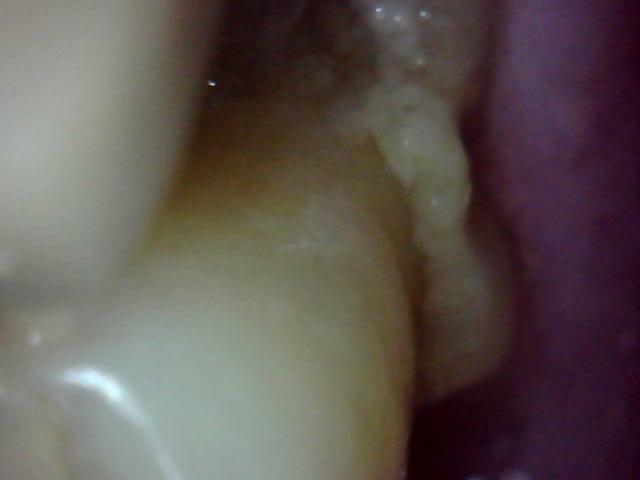 Periodontist was made aware of the Osteoma. 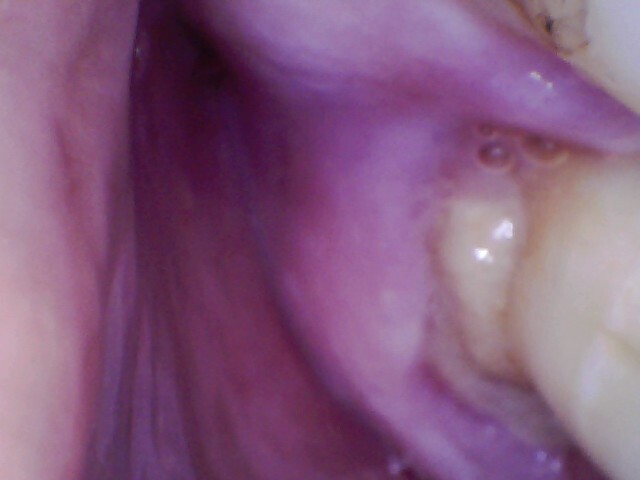 He advised LANAP surgery and explained it was to clean the area between the gum and tooth. He also advised that patient that he required LANAP on his other 3 quadrants. After surgery the patient was advised that he plained and burnished the bone. 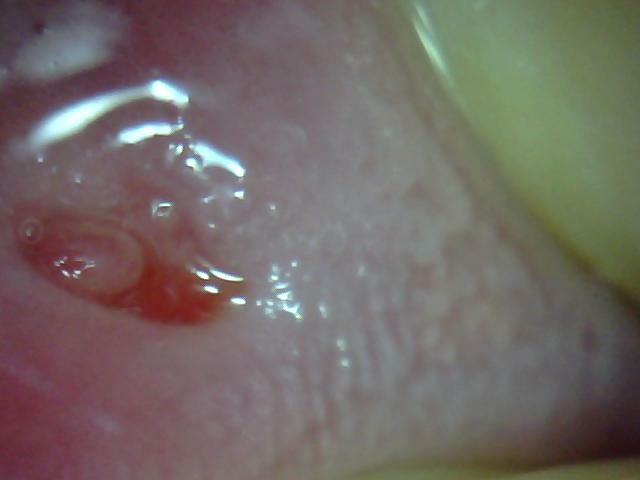 This was the very thing the patient did not want and was concerned about. 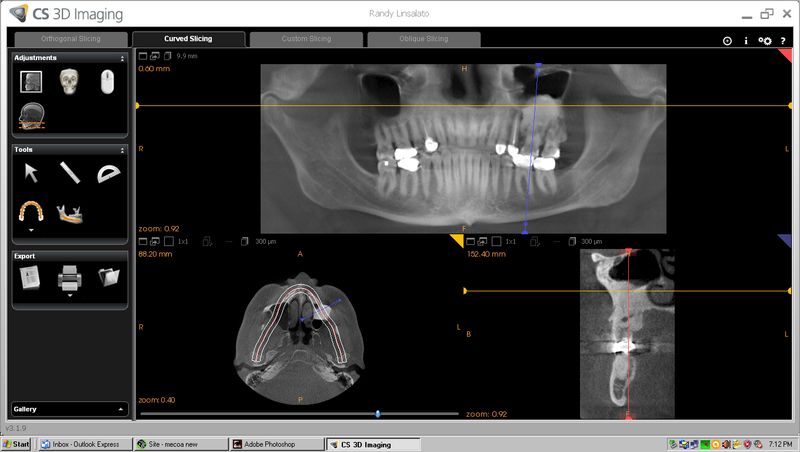 Perio did not determine the composition of the bone nor suggest any alternatives to LANAP. 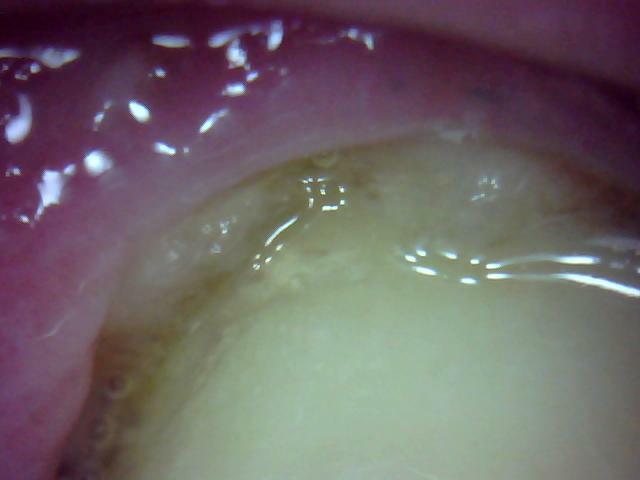 Now the bone has been compromised, it is receding and the gingiva is not attached to the bone as he removed the existing vascular structure leaving only in dense inner bone of the osteoma. 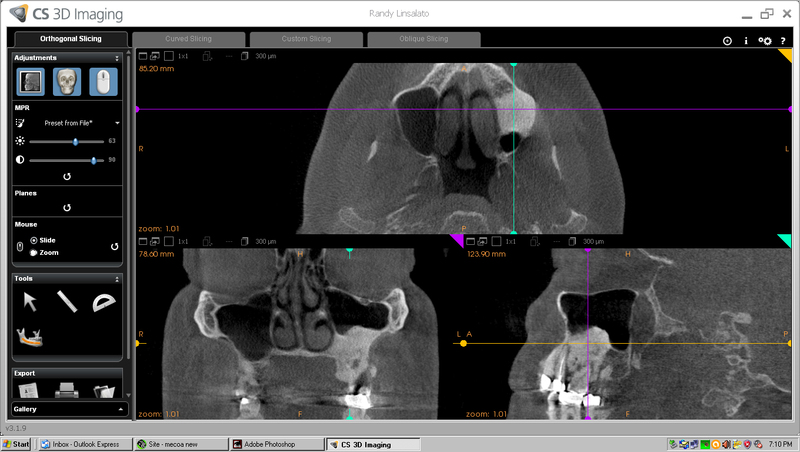 Patient now only has the option of removing 13, 14 and 15 and major excavation of lower sinus, or deal with chronic infections and discomfort in the area. 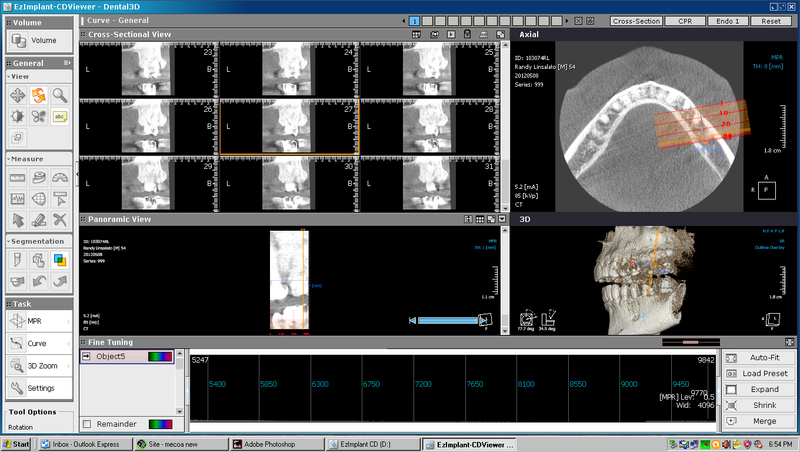 CLICK ON X-rays to enlarge. 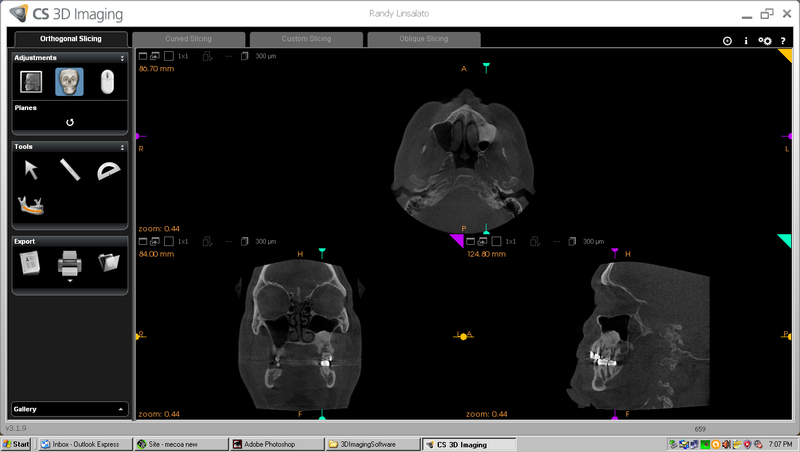 Cone Beam, CBCT files available if needed. First found at age 22 in 1980 during wisdom tooth extraction. 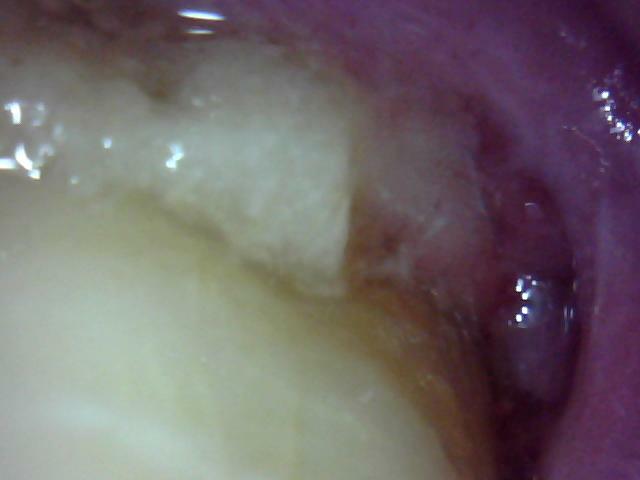 2012 Perio records indicate exostosis, however it is 35 years since discovery and originally diagnosed as an osteoma. Being so dense and the location it was not considered a tori or exostosis. 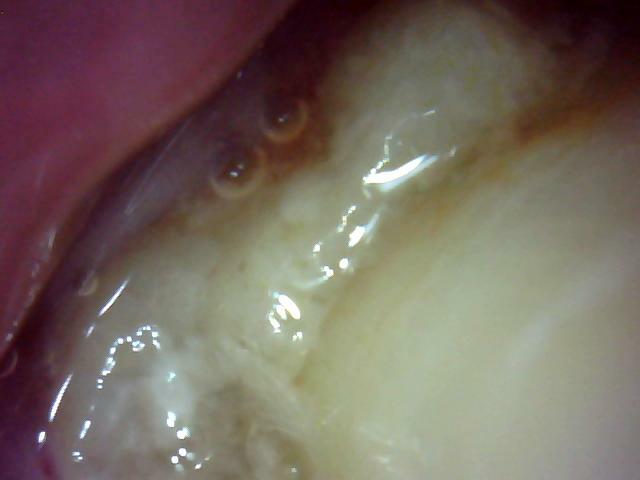 It had been dormant until 2012 when being disturbed in perio treatment. 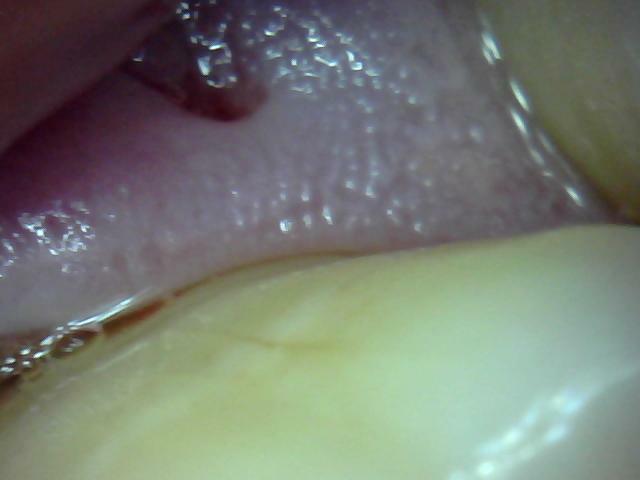 however the periodontist advised I needed LANAP surgery to clean the area, I just wanted the pocket cleaned out. He also said I need surgery on the other 3 quadrants. I advised him of the tumor, showed him the above x-rays and he said it was not a problem and he had seen this before. He took the CBCT scan below. 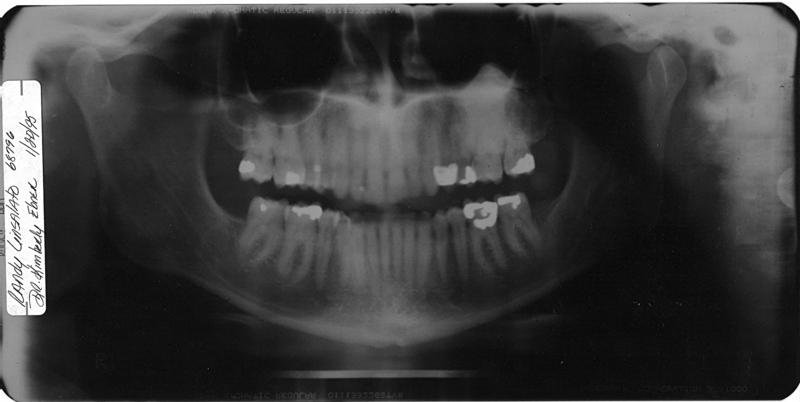 As you can see in this view below the involvement of teeth 13,14, and 15. He performed what I thought was just a standard flap surgery but afterwards he said he plained and burnished the bone which I didn't want or consent to. 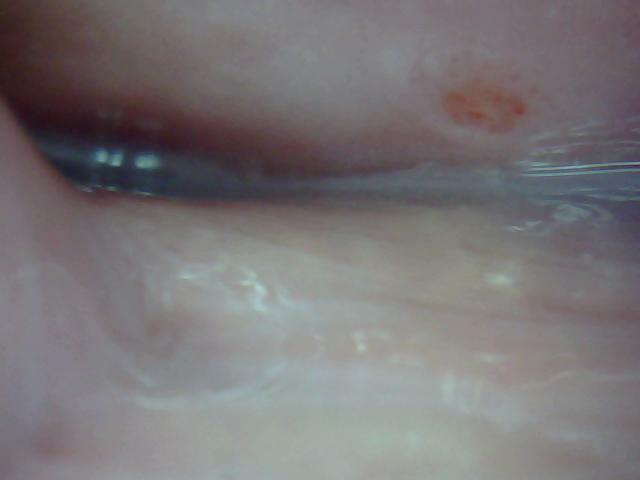 After the surgery I have had infections and abscess' with fistulas every few weeks to months. Including headaches, slight fever and a general feeling of unwell. I complained to him on several occasions that I thought I could feel the jaw bone with my dental pick with no response from him or the dental hygienist. He claimed I needed a root canal without even checking the nerve in 14. 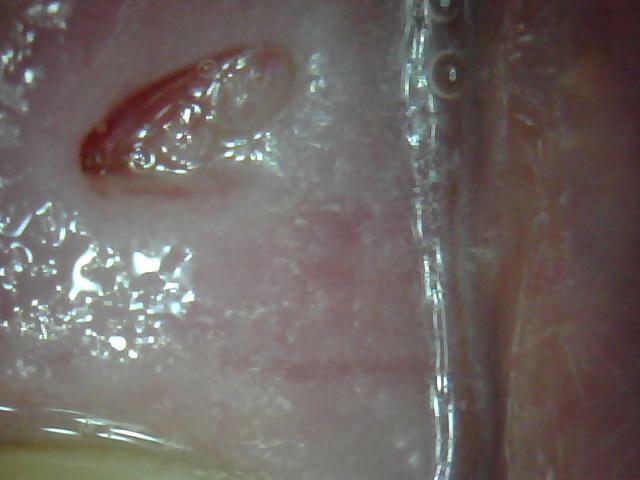 I went to an endodontist out of the area and he confirmed I did not need a root canal, that problem was from an infection outside the tooth. 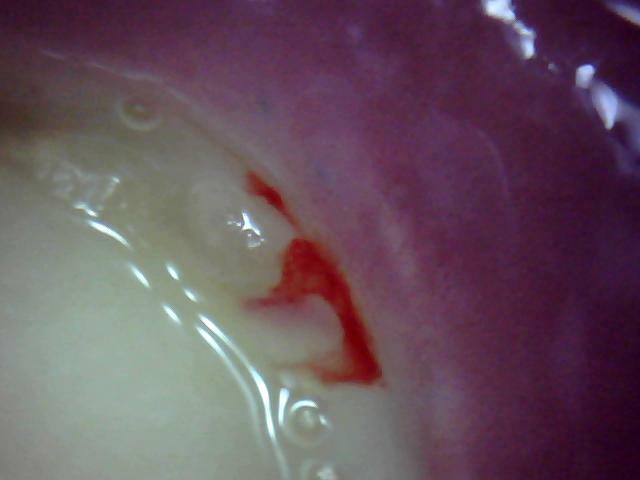 I went to another periodontist and he confirmed that the gum had never reattached to the bone, explaining it was like a blanket laying on the bone never attaching. He diagnosed the condition to possible osteonecrosis. 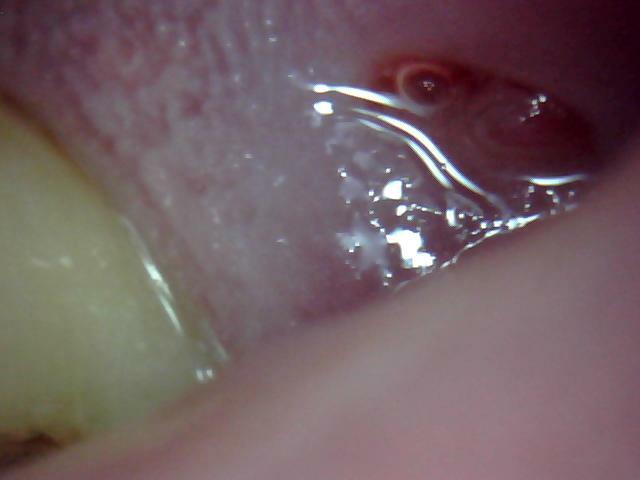 He could probe 13 to 15mm into the gum line. 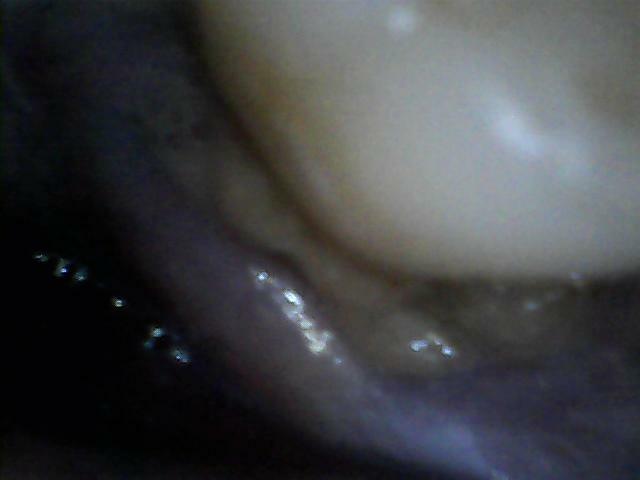 He sent me to an oral surgeon who in turn sent me to 2 more oral surgeons. 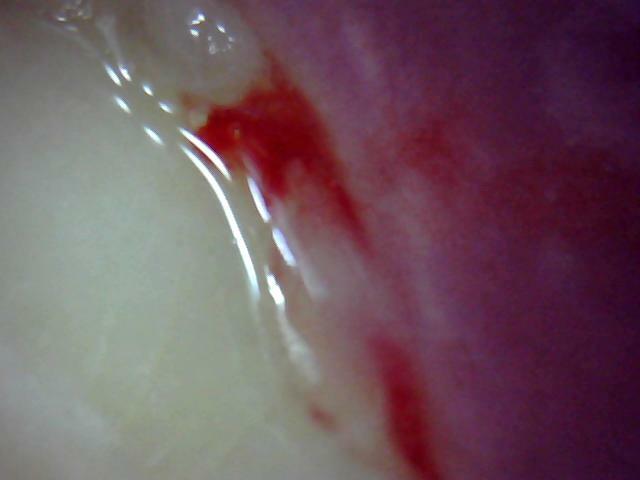 there was probably no vascular structure, so the likelihood of the gum attaching may be poor. He said he may have to excavate so much bone to find blood that there could be a large pocket resulting. 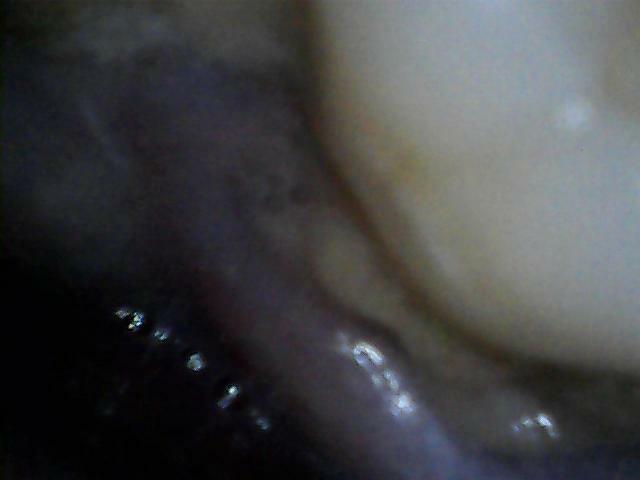 The other oral surgeon from UCLA said if I could live with it to just leave it alone as the cure could be worst then the problem. 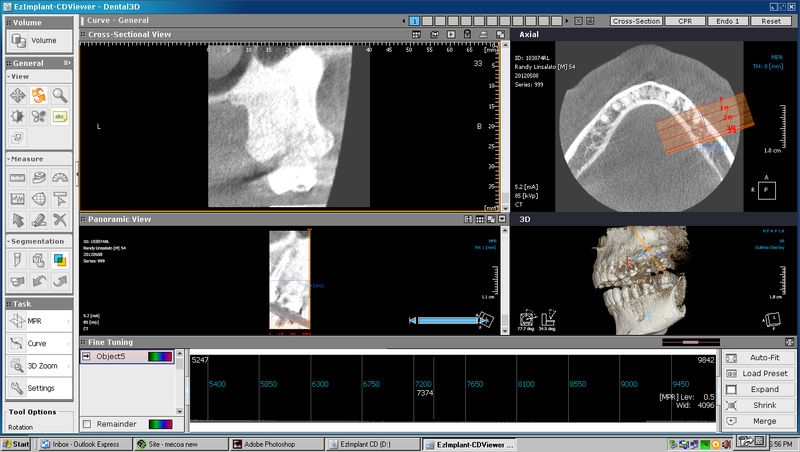 Here are post flap surgery images, as you can see the density of the bone image around 13, 14, and 15 is considerably less as the bone is slowly exfoliating. 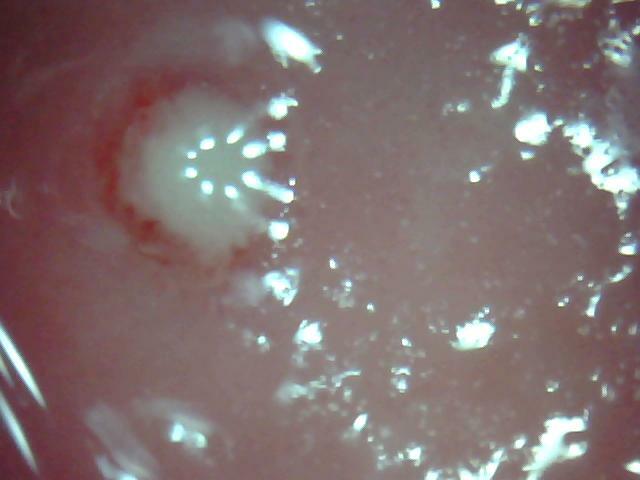 Two 8 to 10 mm pieces have exfoliated from the inside of 14 confirming the diagnoses of osteonecrosis. At this point I continue to deal with discomfort and pain depending on what food or drink is introduced to the area. 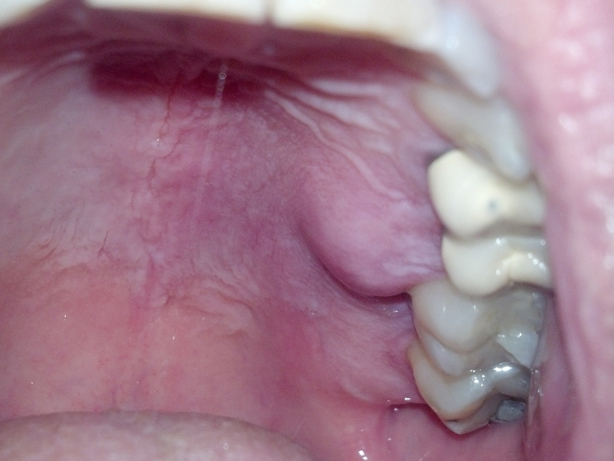 Ever since the surgery I suffer from bouts of low grade infections in the jaw and a general foggy mental state. In fact just writing this verbiage requires my multiple reviews for mistakes. 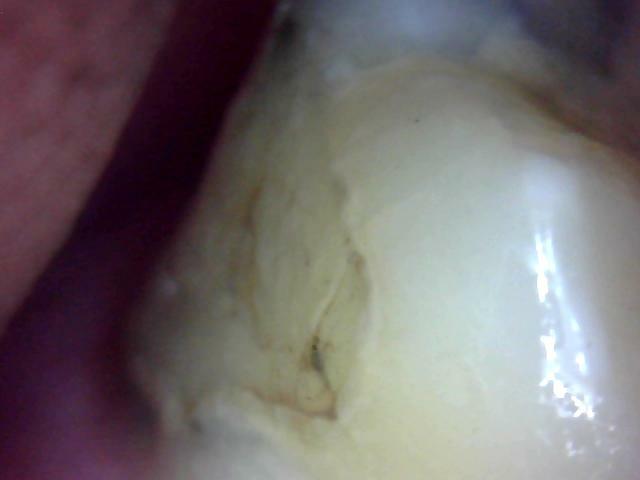 Now the gum is receding around 14 and between 14 and 15 the pocket is rather deep. 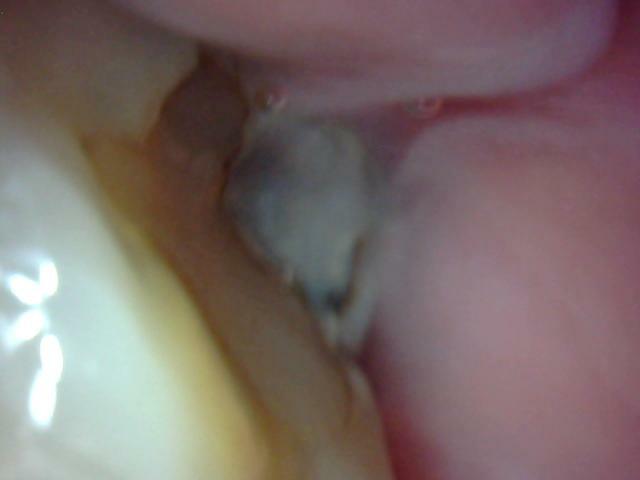 This was probably the result of the periodontist using the dense bone grind and trying to fill the dense bone in the pocket with it. 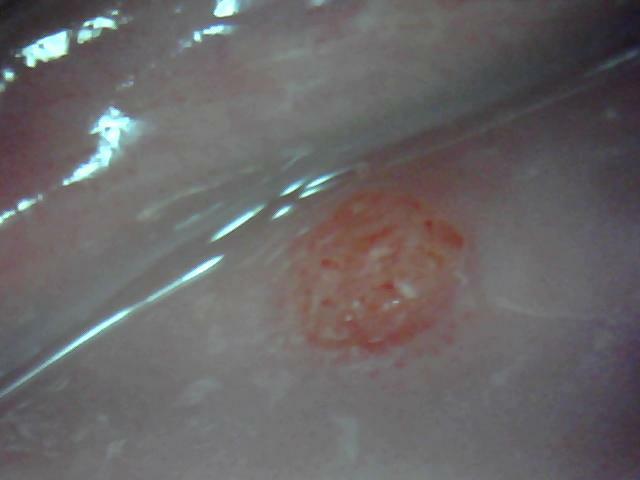 I believe the small lesions are abscess fistulas. 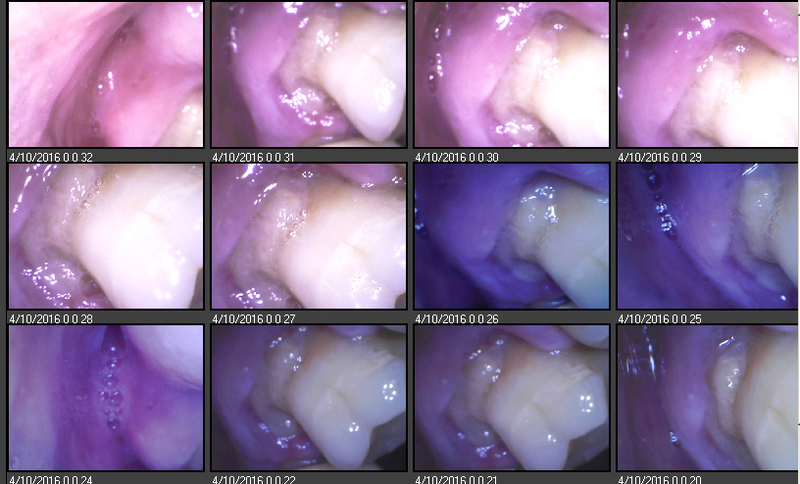 in my mouth, then and now, 4 years after the procedure. 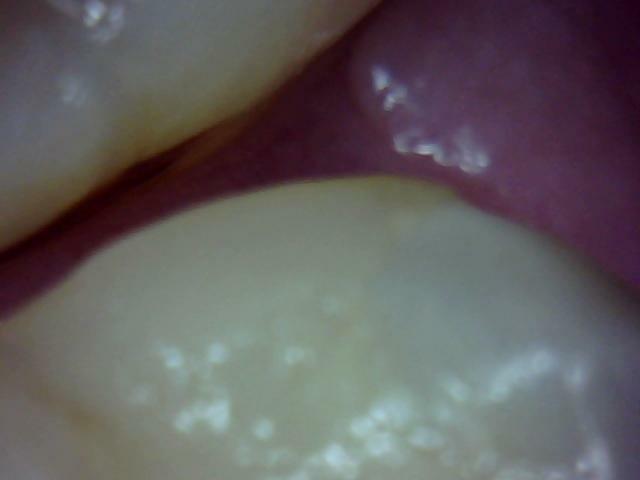 You can see in 32 below the recent bone loss under the gum above 14 .